Get your groove on for some Nu-Disco extravaganza now! New from the vanguard of NU-Disco, Norwegian producer Hans-Peter Lindstrøm together again with Christabelle Solale. Baby Can't Stop comes on like a lost Quincy Jones backing track from the Thriller sessions, but while you half expect Michael Jackson to enter with a Hee Hee, instead we get Christabelle Solale dead-pan vocal style mixing an arty chanteuse and disco diva. It all sounds 1980s funk-pop but still keeps a foot in 2010 and it never completely slips into retro pastiche. The whole album Real Life Is No Cool is quite possibly a major contender for all the album of the year top tens. 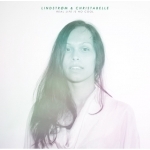 Lindstrøm & Christabelle works like Giorgio Moroder and Donna Summer bringing a fresh and very catchy, danceable sound for the dancefloors of today. Nu-Disco has now firmly arrived and Real Life Is No Cool is the staple of which all future-nu-disco will be measured. Get your dancing' shoes on we're going for a ride! Released last month - Highly Recommended.